The final 12-man line-up of Sinag Pilipinas for the upcoming Southeast Asia Basketball Association (SEABA) tournament slated on April 27 to May 1 in Singapore has been announced. Coach Tab Baldwin decided to name Jio Jalalon (Arellano University), Kiefer Ravena (Ateneo de Manila Univer), Marcus Douthit (Naturalized player from Providence), Bobby Ray Parks Jr. (NU), Kevin Ferrer (UST), Mac Belo (FEU), Troy Rosario (NU), Russel Escoto (FEU), Almond Vosotros (DLSU), Glenn Khobuntin (NU), Scottie Thompson (University of Perpetual Help), and Norbert Torres (DLSU) as the members of the official roster that will compete in the tournament. Their ultimate goal is to win the SEABA plum to help the Philippines get a spot in the upcoming FIBA Asia Championship in China on September. 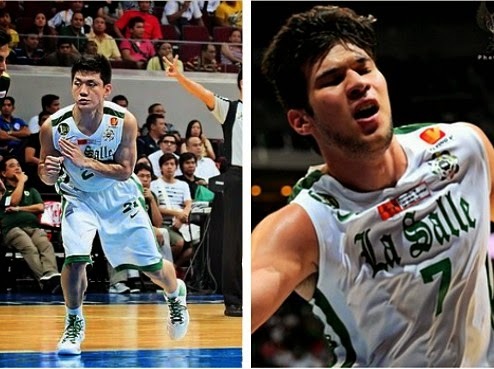 Not included in the roster are Jeron Teng, Arnold Van Opstal, Prince Rivero and Baser Amer. They were poised to be in the final line-up, but due to the coach's decision, they got cut. Despite the sad news, they will still remain part of the training pool.